Our rich Italian roots and history in the kitchen have inspired us to create an indefinite series of interactive cooking classes that inspire creativity, history, and traditions. Nothing brings people together like good food. From private parties to corporate team building, our private cooking classes help you build new skills and great memories. The corporate team building cooking classes are designed to foster the development of client and employee entertainment and relationships. We can accommodate up to 10 people in the kitchen and 30 people in the main venue. 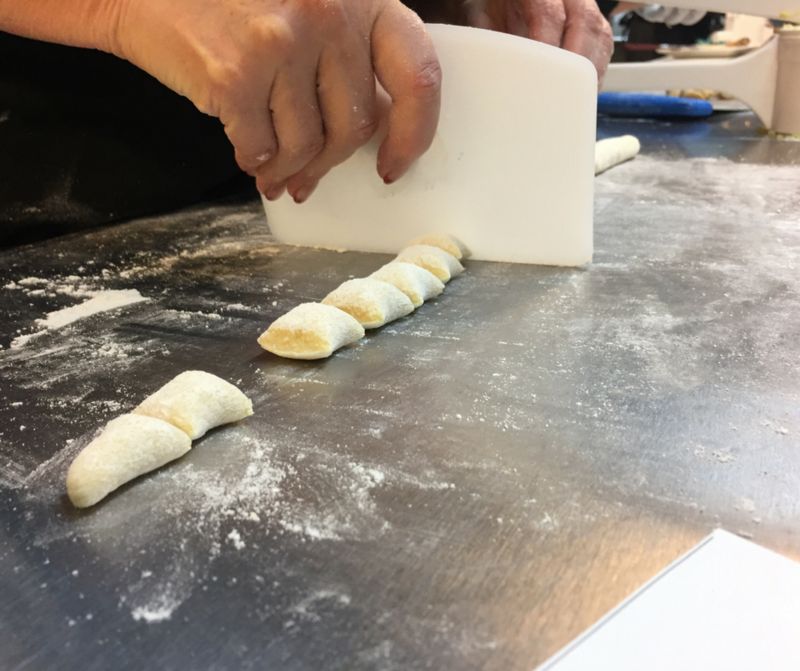 Come join Commellini Estate’s Executive Chef, Jeannie Lincoln, and learn how to create the delectable pillow like pasta: Gnocchi. You will be getting your hands dirty at the Estate, in this hands-on cooking class. The class culminates in a delicious meal, served family style, inside the historic Commellini Estate’s Main Venue. The class, including mealtime, takes approximately 3 hours. Caesar Salad: romaine lettuce, homemade croutons, Caesar dressing and garnished with fresh Parmesan. Garlic Parmesan Gnocchi, served with your choice of the following signature sauces: Gina’s Marinara, Leda’s Famous Bolognese Meat Sauce, Albert’s White Wine Alfredo. Each participant will receive a recipe card to take home. Adults (21+), enjoy a glass of wine or beer upon arrival and another with our meal! You may also choose to host unlimited beer and wine for your party for an additional price. Our mission is to provide our clients with elegance, exquisite food, and professionalism at the historical Commellini Estate. 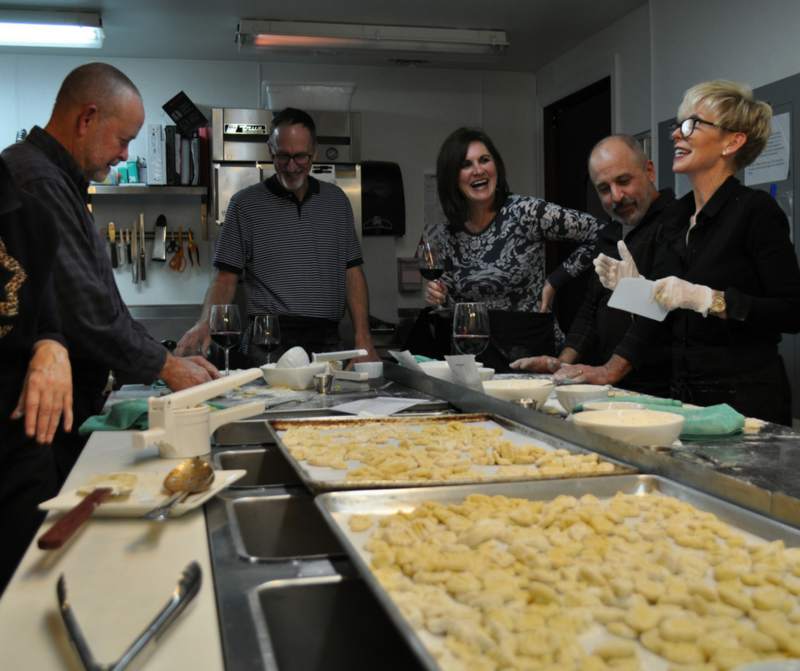 With our hands-on cooking classes, you can provide your team with the ability to learn through experience while being able to enjoy a deliciously fun meal! We take traditional Italian recipes and break them down into step-by-step instructions for everyone to follow. Our amazing chef will be there to guide and instruct you through the process of creating your meal! Food is the universal language that we all love and understand. What better way is there than cooking to build camaraderie, encourage collaboration, and flourish in friendship.